Mining supply chains form the backbone of the global economy, delivering essential resources to every industry from energy to consumer electronics. While a lot of popular conceptions of mining revolve around either gold or coal – the latter the source of 40 percent of electricity generation, according to the International Energy Agency – today’s mining organization produce a wide variety of other materials and ship them through complex, often continent-spanning supply chains. For example, lithium, the pivotal metal in most of the world’s rechargeable batteries, is heavily concentrated in briny lakes (salars) in South America; almost 90 percent of all lithium extraction comes from such salars. The processed lithium eventually makes its way to lithium battery manufacturers, predominantly in East Asia. The batteries themselves are then assembled into smartphones, PCs and other devices, usually in China, and finally distributed worldwide. With multiple mines and facilities under essentially autonomous management, mining companies frequently struggle with information silos. Their teams may also use separate legacy systems for planning, accounting and other key functions, creating additional divides. Without sufficient integration between these business platforms, it’s hard for leadership to have a clear view into operations. 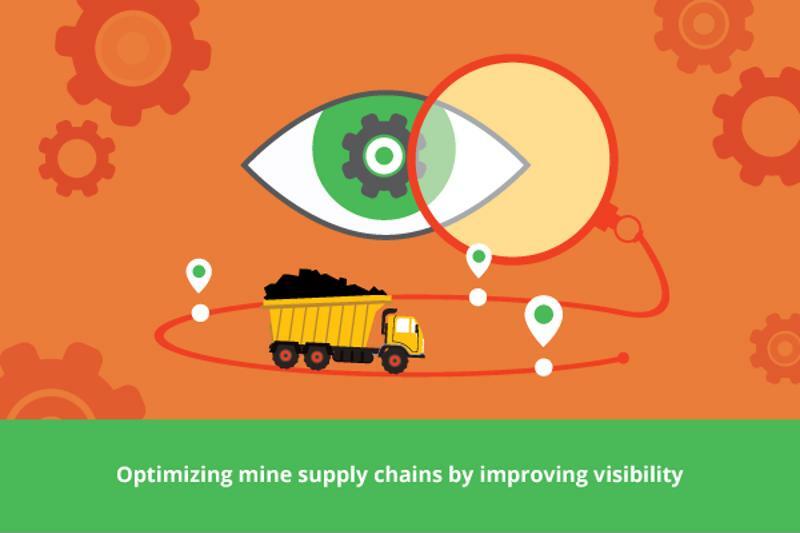 Indeed, three-fourths of mining executives cited visibility as a top challenge in an IBM survey. Mining is capital-intensive, requiring significant amounts of expensive machinery expected to be operational 24/7. Accordingly, it’s essential to always have enough spare parts on hand in case something goes wrong. However, in many instances too much inventory is kept on hand, which can stretch the company thin and drive up costs. Inadequate upgrade schedules also allow older equipment to remain in use too long, resulting in low efficiency, high energy/fuel consumption and increased downtime for mission-critical machinery. Spreadsheets remain fixtures of mining operations, specifically for tracking items and attributes. Unfortunately, they’re often riddled with errors and aren’t very scalable, either. As throughput rises, spreadsheets can worsen bottlenecks throughout the supply chain, since they become increasingly large and the impact of their error grows in tandem. Many Excel sheets are created by non-programmers and as such aren’t even formally tested for mistakes. This entry was posted in Supply Chain Management and tagged asset management, forecasting, inventory planning, mining. Bookmark the permalink. Bob Schroeder is a Solution Director in our Supply Chain Management practice. Bob brings with him 30+ years of global supply chain experience with companies ranging in size from Fortune 100s to start-ups. His global experience in supply chain management, maintenance and aftermarket services spans across several industries. He uses this experience and knowledge to help customers understand the value of driving business improvements, becoming a trusted advisor with a proven ability to drive change and deliver results.